Turkish: Unknown. Commander: Osman I and then Orkhan. The capture of Bursa established Osman I (Othman) and his successors as the major power in Asia Minor, beginning the Ottoman Empire. The peoples known as Turks originated not in the Turkey of today but in Turkestan in central Asia. In the middle of the sixth century a.d., they formed themselves into a large tribal confederation and then shortly thereafter split into eastern and western factions. The eastern Turkic tribes interacted strongly with the Chinese, most notably the T’ ang dynasty, and alternately aided or were defeated by the Chinese. The western Turkic tribes, however, were better known as conquerors for their occupation of territory stretching from the Oxus River to the Mediterranean Sea. Their first major entry into western history came with their contact with Arabs spreading Islam past Persia and toward central Asia. The pastoral Turks became exposed to the civilizations of Persia and the Byzantine Empire and began a gradual conversion to western religions, mainly but not exclusively Islam. Soon Turkic soldiers served in Moslem armies, either as volunteers or as slave soldiers, forerunners of the Mamluks or the Janissaries of the Ottoman Empire. They soon became ghazi, or border warriors, hired by Moslem governments to protect the northeastern frontier. At this point, the western Turks also split, the eastern faction becoming the Ghaznavids and the western becoming the Seljuks. Most of the Turks embraced the more orthodox Sunni branch of Islam, and they spread the faith as well as practiced it. Based out of the city of Ghazna (some 90 miles southwest of modern Kabul, Afghanistan), the Ghaznavids in the tenth and eleventh centuries spread their power and religion eastward into India. Their most notable achievement was the introduction of Islam into India, though their use of forced conversions often made them more feared than welcomed. They were defeated not by Indian resistance but by the Seljuks. Named for its first major leader, Seljuk or Selchuk, the western Turkic tribes also served Moslem governments. Their position on the Asian frontier attracted growing numbers of Islamicized Turkic tribes, and soon the land grants ceded by the Moslems proved inadequate for the needs of so many pastoral people. Their growth in numbers gave them an increased military strength as well as a growing need for grazing lands. As the Moslem Buyid dynasty grew weak and the Ghaznavids looked toward India, the Seljuks found conquest of the lands west of Persia relatively simple. They defeated the Ghaznavids in 1040 and then occupied Baghdad in 1055. They did not take the city to pillage it but to return it to Sunni control from the less orthodox Shi’ites. The marriage of the Seljuk chief to the sister of the caliph, and his resulting promotion to the position of sultan, established the Seljuks as the premiere military and political force in the Middle East. Filled with religious zeal, the Seljuks conquered Armenia, the Levant, and into Asia Minor; Malik Shah, the most successful Seljuk military leader, scored a major victory over Byzantine forces at Manzikert in 1071. In spite of their desire to reestablish the Sunni sect of Islam, the Seljuks did not undertake the practice of forced conversions, which the Ghaznavids did in India. Though they made subjects of Christians and Jews, they did not persecute them; the Seljuks followed Mohammed’s teachings of religious tolerance. Once established in Asia Minor, they chose as their capital city Konia, a site occupied since the Hittites at the dawn of recorded history. It became a center for culture and learning. The orthodoxy of the Sunni Seljuks frightened Europeans, who rejected peaceful interaction in favor of militant Christianity and mounted the Crusades. Although the Crusades brought about no lasting European presence in the Middle East, and the Seljuks remained in power, they finally were doomed to destruction in the same manner that brought them to power: invasion from central Asia, the Mongols of the thirteenth century. Their occupation of Asia Minor ultimately weakened the Byzantine Empire to the point that it fell to the successors of the Seljuks, the Ottoman Empire. The formation of the Ottoman Empire was very much a matter of timing and location. In the late thirteenth and early fourteenth centuries, the power of the Mongols had waned, as had that of the Byzantine Empire. In the region in and around Asia Minor, a power vacuum formed. The people living in Asia Minor were basically still a steppe society, uncomfortable with a settled lifestyle and militarily aggressive. Such a combination had served to keep the Seljuks from ever establishing an extended dominion; attempts by political leaders to convince the people to settle down and pay taxes resulted in rebellion. The Turks followed strong leaders, no matter their birth, and, for a strong leader to maintain his following, he needed conquests to keep his people occupied and provide operating capital. Osman I (or Othman) became the main prince of Asia Minor who attracted warriors. His land, awarded to him in 1290 for service to the Seljuks, was based on the town of Sorgut, supposedly established as a regional stronghold by Hannibal. Sorgut was located southeast of Constantinople, fairly near the Sea of Marmora. This meant that Osman’s lands abutted the frontiers of the Byzantine Empire. That location was the primary reason that warriors flocked to his banner; fighting Christians was more honorable and lucrative than fighting fellow Turks. Osman’s campaigns against the Byzantines were at times mere raids for loot and at other times intentional territorial acquisitions, and they both attracted the attention of Constantinople. Of all the Asia Minor princes, Osman was deemed the greatest threat. Osman focused his attentions on three primary targets: Nicaea (modern Iznik), Nicomedia (modern Izmit), and Bursa (modern Bursa). He first laid siege to Nicaea in 1301. This action attracted the attention of the Byzantine emperor Andronicus II to him. The Byzantine government dispatched a force of 2,000 men to relieve the siege, but Osman ambushed and destroyed them at Baphaeon. The local population evacuated the country-side and fled to Nicomedia. The emperor hired some Alan mercenaries to deal with Osman, but they too were defeated (1302 and 1304). Osman was unable, however, to overcome either Nicaea or Nicomedia, so he returned to raiding. 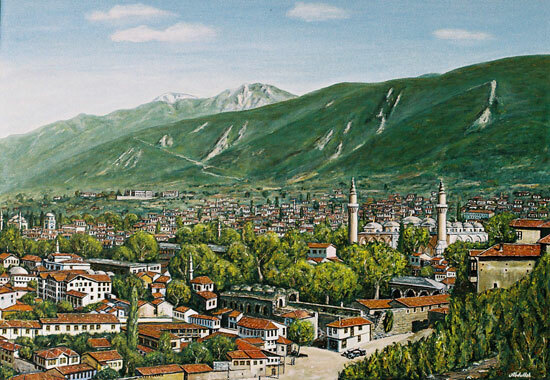 Bursa had once been a town as important as Nicaea and Nicomedia, but after the invasion of the Goths in the third century only the latter two were restored under Byzantine rule. 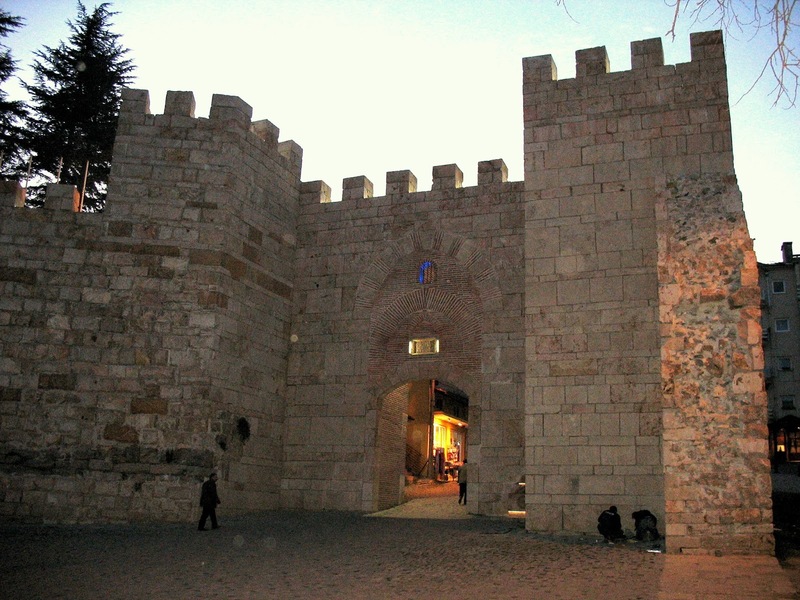 Just before Constantine established the empire and Nicaea was still the regional capital, Bursa had its walls restored. It was such a good job of reconstruction that, when Osman began his siege in 1317, the town held out for more than 9 years. As to the details of the siege of Bursa, almost nothing exists. It was a long siege, and that is about all that can be said, other than some sources say it may have been intermittent rather than continuous. When it fell on 6 April 1326, Osman lay dying, so he never saw the inside of the city. His son, Orkhan, became the second leader of the dynasty that became known as the Ottomans. Upon his occupation of the city, he named it the capital of the emerging Ottoman Empire. Whatever damage that had been inflicted during the siege was quickly repaired and the town’s former elegance was restored. It became “a great city with fine bazaars and broad streets, worthy of the greatest of the Turkmen kings” (Muller, The Loom of History, p. 301). Although Osman was the father of the ruling line, it was Orkhan who really established the power of the Ottomans. He succeeded in capturing Nicaea in 1331 after beating back a Byzantine relief force and then he took Nicomedia in 1337. All of this served to attract even more warriors to the Ottoman cause. Although there were occasional periods of peace (Orkhan married a Byzantine princess), for the most part the Moslem Ottomans and the Christian Byzantines were at odds. Orkhan’s son Suleiman led troops across the Dardanelles to conquer Thrace, and the empire’s capital was transferred from Bursa to Adrianople. In 1453, another of Osman’s descendants, Mehmet, captured Constantinople. He renamed the city Istanbul and it remained the capital of the Ottoman Empire until its demise in 1919. The Ottomans succeeded where the Seljuks failed because they were able to overcome their nomadic heritage. “The astonishing achievement of the Ottomans was breaking the cycle of birth, short life, then dissolution that characterized the earlier nomadic empires” (McCarthy, The Ottoman Turks, p. 36). This was the result primarily of the uncanny abilities of the first nine Ottoman sultans, who put together a 200-year chain of able rulers. By maintaining war against the Byzantines, then the Christians of southeastern Europe, and then the Shi’ites of Persia, the Ottomans were able to harness the warlike nature of their people. However, by adopting Christian/European advisors, military advancements, and technology, they gradually introduced a more settled lifestyle. The sultan ruled from the capital, and the provinces pretty much ruled themselves, but a common culture, religion, and economic life held the population together. Osman’s life of warfare against the Byzantines and his legacy of wisdom and strength in leadership turned the city of Bursa into an imperial capital and then, when it was left behind for bigger and better power centers, a beautiful city: “The successors of Orkhan beautified and sanctified the city by building mosques and tombs, the earliest Ottoman shrines” (Muller, The Loom of History, p. 301).